The council has agreed to spend £12,000 promoting The Gobbins and local area despite forking out over £82,000 on maintenance and repairs to the coastal path since it reopened last year. 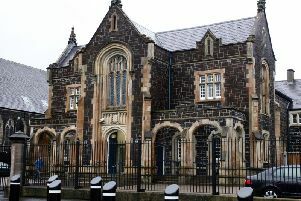 The proposal was unanimously approved by members of Mid and East Antrim Borough Council’s Economic Growth and Tourism Committee on Monday night, and must now go to full council for ratification.The £11,788 price tag, which will come from the existing Gobbins marketing budget for 2016/17, will pay for one staff member to attend ten events in England, Scotland, the Republic, Northern Ireland and Germany. It comes days after a the Press Association obtained a freedom of information request from the council, which revealed that the local authority has spent £82,502.28 to date on maintaining and repairing the £7.5 million tourist attraction since it reopened in August 2015. The council said that the expenditure was essential as part of its rockfall management responsibilities. Last month, the council admitted it doesn’t know when the £7.5 million Gobbins, which has been closed for seven of the 13 months since it first opened due to rock falls and maintenance work, will reopen in 2017. “We don’t know when it’s going to reopen and they are going to spend almost £12,000 marketing it,” he told the Times. “This council would be better off telling people when they expect the Gobbins to reopen, how much it will cost to reopen and also how much they have got left in the marketing budget for the Gobbins if they are taking £12,000 out of it. “If they say they are going to publicise the wider Mid and East Antrim area, let’s see their full plan first. The wider Mid and East Antrim area could be anywhere in the borough, they need to be more specific.